One of the best things about walking around a city is that you can read the layers of architecture which gives you an insight into the lives and times of current and earlier city residents. 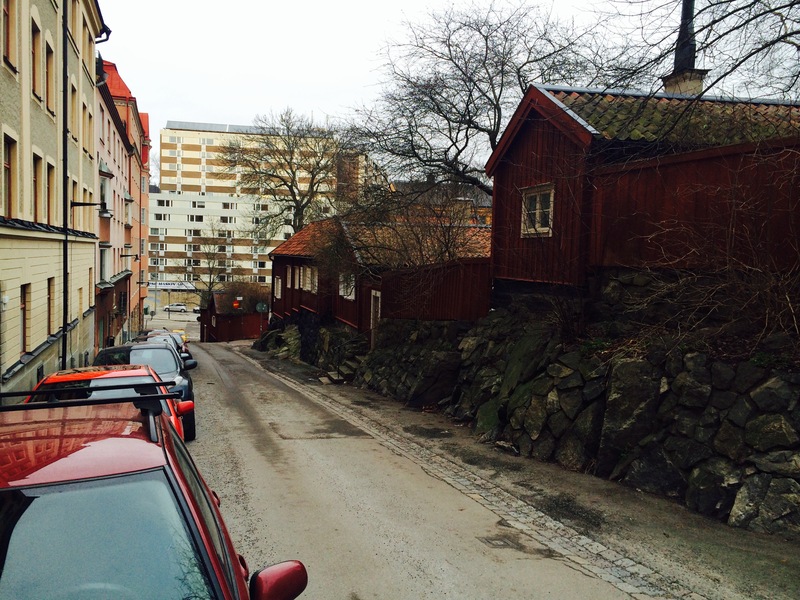 And Stockholm is no exception. 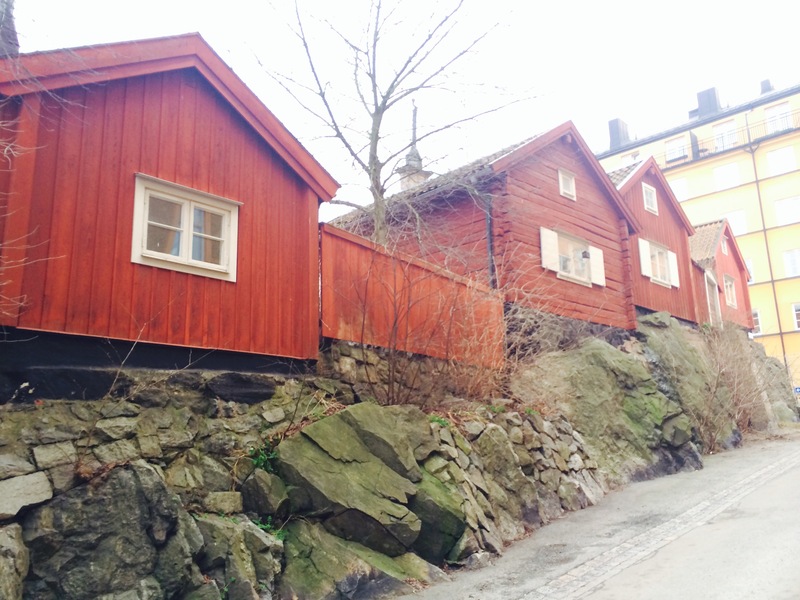 On the island of Södermalm, there is a cluster of old red, wooden houses perched amongst blocks of flats from the twentieth century. Most of these houses originate from the 1700’s and were homes to workers in the nearby tar yard and the docks. These were stinky, tough and perilous jobs. And, just like today, Stockholm was rapidly growing and people migrated into the city in droves. And just like today, there was a housing crisis even then. In the 1800’s and 1900’s these small, red houses were so overcrowded and filthy that they became dilapidated and dangerous. Eventually in 1956, the government decided to renovate and improve the living standards for the poverty-stricken residents. 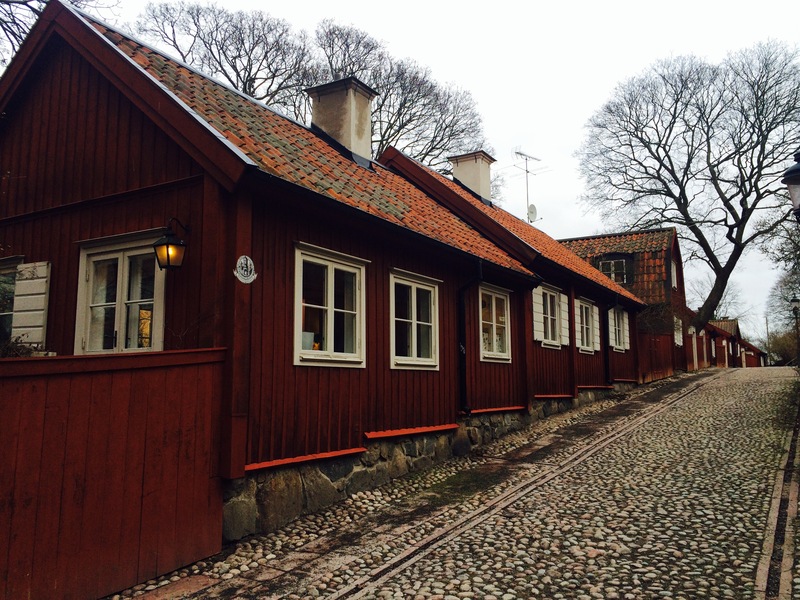 Today, the area is protected due to its cultural relevance and is still a residential area for a lucky few. So next time you’re out walking, lift your eyes up. Look at the buildings around you – what does it tell you about your city’s earlier dwellers?